Good technique is a very important requirement for a quality thinking and tactical performance. A technically efficient player is one that is comfortable on the ball and can visualize the positioning of his teammates and opponents and make appropriate decisions in all different situations. This new DVD by Derek Broadley and Soccer-Expert focuses on a player centered approach to learning by developing practice drills and exercises that simulate the "real game". 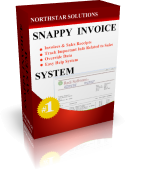 Software for preparing Michigan Sales Tax Returns. Independent Investor Stock Analysis Software that's easy. Handles up to 5000 stock symbols. Handles up to 1000 stocks. The initial symbol list is much larger, but you can add/delete symbols at will. Use any text editor, if you like, to delete large blocks of symbols. This DVD contains many small-sided games used by the world's top teams and their academies like Manchester United, Juventus, Liverpool, U.S. Women's World Cup Team, Chelsea, Glasgow Rangers as well as MLS teams and USYSA National Champions. SOLUTION TO KEEP YOU ONE STEP AHEAD. Shooting Star is the systematic appoach to buying and selling on eBay. It reduces the time and effort required to manage eBay transactions, and lets you concentrate on providing good service and timely communications to your trading partners. See details SafeInput Control，Client-side Internet Security Component.